I ran across an article in the Journal of Rheology with just such a title (subscription require), but since it was written 80 years ago in 1932, the "future" is now the present (or maybe even the past). When this article was written, the term rheology had only been around for dozen years, so the subject was quite new. The article has aged quite as most of it is now incorporated in textbooks, but a couple of passages caught my eye and are worth a comment or two. The first was this: "In practice, the results can be applied to ordinary inhomogeneous materials, if their structure is sufficiently fine grained so that the structural units are small compared to the dimensions of the narrowest passages through which flow of any kind takes place." I say this is eye catching as it is a concept that many people today still fail to grasp. 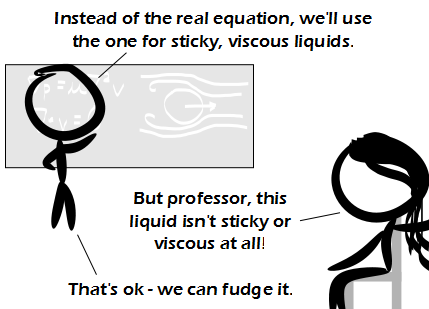 I've lost track of all the papers that have modeled fluid mechanics on such small scales that the whole idea of fluid continuum breaks down, and yet the researchers continue to use it. 80 years on and too many people fail to understand this basic concept. As for specific "future" problems, the author proposed a dozen of which a few are interesting: "(5) Consider the effect of the temperature rise due to dissipation of energy in shearing a plastic material. There were not many plastics around in 1932, so I was surprised to see that extruders back then were so well equipped that they could detect the heat from shearing. This next one shows that we've had a change in perspective over time: "(6) Investigate mathematically the change of consistency with working, as well as thixotropic and other irreversible effects" So thixotropy was considered irreversible back then? That is not in alignment with current definitions which in fact require that the effect be instead reversible. And this last one shows how some thing never change: "(10) Rationalization of the pour-point: correlate if possible the customary ASTM observations on pour-point, penetration, and other consistency phenomena with the intrinsic rheological constants of the material." People have been developing endless additional ad hoc tests since and still want them correlated to the fundamental underlying principles. Melt Flow Index, Ring and Ball Softening Point, Probe Tack (and Loop Tack and Rolling Ball Tack and __________ Tack) - the list goes on and on. Problem #10 here is still a "future" problem of theoretical rheology. At the beginning of this month, I discussed the rich number of monomers that can be used to create polyurethanes. I just ran across a new research article ($, a free review is is available) describing one such monomer that I surprisingly hadn't run across before: sugar. It makes perfect sense - sugars (after ring opening) have hydroxyl groups exposed, making them a polyol, and a partially green polymer. "Your mission, should you choose to accept it, is to get past the HR firewall. Bring your best cyberstalking skills and your sense of adventure. Buckle up, this is going to be a rough ride. First thing you need are names of individuals in the company. Search LinkedIn for employees of the company. Find recent patent applications from the company, and look at the inventors names. Google the company's name for news articles, PR releases,...all of which may have more names. Back on LinkedIn, ask to make a connection (it's like asking someone on Facebook to be their friend). If they ignore you, so what? Use your phone for that one app that it's never used for: making phone calls. Call the central switchboard for the company and ask to be transferred to the people who's names you have. Tell them your story. If you knowingly call someone in the wrong department, tell them (lie) that the switchboard operator sent you there by mistake and ask if they could they tell you who you should talk to or transfer you to them. When you find the ideal person to talk to or even someone close, tell them that you are just trying to get past the HR firewall (they all understand that as all of them have had to deal with that themselves) and that you are taking a creative approach that you think will reflect on the creativity that you will bring to the job (unless it is a QA department for life-critical medical devices, in which case creativity is the last thing they want from an employee). Now go out there, start knocking heads and taking names. Be loaded for bear and always leave a round in the chamber. And let us know how you did." I'm sure those are not the limits on creative approaches to avoiding a firewall. Anybody else with good suggestions? Today's post is inspired by the comment left by an anonymous poster on a different website. The website mentioned that Amcor is now supplying both natural and synthetic corks for their PET wine bottle. The anonymous poster had a one-line comment:"At the end of the day, I would rather recycle the glass". While this is a nice thought, the reality is that wine glass bottles are difficult to recycle. They are green and the largest user of green glass is the wine industry, with imported beers following after that. Unfortunately, the wine industry is located in very small regions of the country, so while you can place a wine bottle into a recycling bin, the recycler who then takes that bottle will have a difficult time working with it. Shipping it to California is not a viable option for most of the country, as is re-exporting the beer bottle glass. On the other hand, the marketplace across the country for recycled PET has never been better, and since a case of wine shipped in PET bottles is lighter the glass alternative, less fuel is needed to transport it in the first place, making it a much more green option overall. 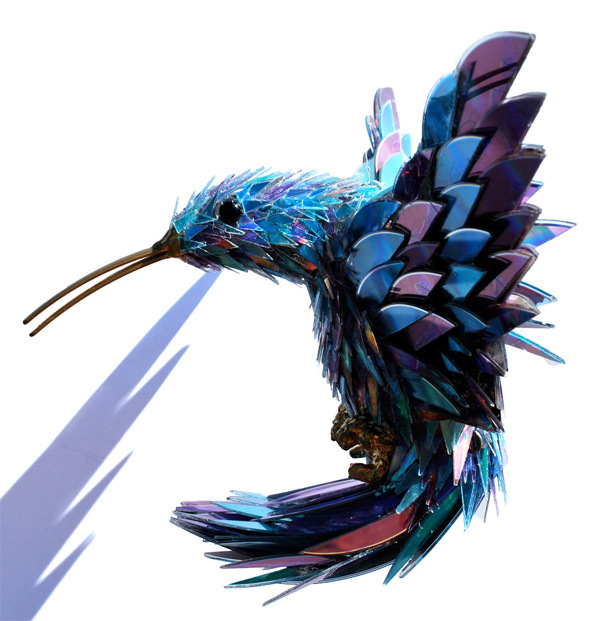 This sculpture, and all the additional ones made by Sean Avery are tiny fragments of a CD. I have neither the patience, creativity or imagination to create something like this. Hat tip to the ThisIsColossal webpage for the lead. A fascinating blog featuring visually impressive art from around the world. I highly recommend it. I was not actively involved in the effort, but from the outside looking in, I would explain ISO 17025 vs. ISO 9001 this way. In ISO 9001, you wrote down what you did, you did it and then you write down what you did. The quality of what you did did not matter at all. You could make the same rotten stuff day after day and still be ISO 9001 certified - and there are plenty of companies that operate that way. With ISO 17025, you now have to show how well you do something. It still may be awful, but now it is known to your clients that it is awful. Note to self: do not ever again work for a company that simultaneously pursues ISO 17025 certification and relocates to a new building. [*] Some of us were so excited about that arrangement that we repeated that effort! And guess what? We are too. GLP registration is the next target. (ρ is the density, v is the velocity, D is the diameter and μ is the viscosity) for different conditions can help show this. For circular pipes, turbulence can occur if Re gets above about 2100, so for a typical molten polymer with viscosity of say, 107 Pa s viscosity and a density of 1 kg/m3 in a 1 m pipe, the velocity would need to be over 21 x 106 m/s for turbulence to occur (that is 7% the speed of light)! Up the pipe diameter to 1000 m (the size of a nice river), and the velocity would still need to exceed a supersonic speed of 21,000 m/s. That the initial conditions are not perfectly matched at the end of the video is due to a small amount of diffusion (Brownian motion) that is always present - just as if the initial colors would eventually spread out and mix over time in the absence of any flow field. Nonetheless, this would be a cool demo to put together. The colors are eye catching and while people may question the validity of it on video ("oh, they just ran the tape backwards"), this is one case where seeing would be believing. The last time I mentioned gels was over their use as the matrix for a cockroach repellent. I recently ran across another example of gels being used to repel undesired fauna - as a bird repellent. Apparently if you apply the gel to bird roosting areas, the birds dislike the sticky feeling on their feet and take flight. Speaking strictly from a rheological viewpoint, "tackiness" is largely independent of the thickness of an material, but only after reaching a certain critical thickness. Excessively thin layers will have lower levels of tack - something that the British city of Market Rasen recently discovered. They were testing a gel such is this on bridges, but applied it too thin. The material for 1 bridge was spread out over 3, so the gel was too thin and the tack was no where near where it should have been. Another option for repelling birds, although in this case, it appears to be limited to bronze statues, is to have some arsenic incorporated in the alloy. The mechanism by which this repels birds is unexplained at present. The only problem with this approach is that a new report ($) which looked at 6 elements of the "geologic copper family" (Cu, As, Se, Ag, Te, and Au) [*], concludes that the supply risk for arsenic is critical at a global level. As such, making it available for use in semiconductors is in my mind more important than for keeping statues clean of bird droppings. [*] Although these elements are scattered across the periodic table, they are a "geologic family" as they commonly occur together in copper ore deposits. Hopefully Th' Gaussling (a chemist with an intent interest in geology) can explain sometime how this occurs. I both love and hate "polyurethanes". The reaction can then continue from either end, leading to a polymer. The problem with this polymer is that the urethane linkage is actually the least important aspect of the polymer - the R1 and the R2 are where the action is. It's R1 and R2 that determine whether you have a bowling ball, a car bumper, a kitchen sponge , a pressure-sensitive adhesive, a chair cushion , a floor coating or any of thousands of other products. Polyurethanes are without a doubt the most versatile class of polymers that we have, and that is why I love them. But their name, "polyurehtane" causes significant confusion because it is a generic name that is generic only at the molecular level. 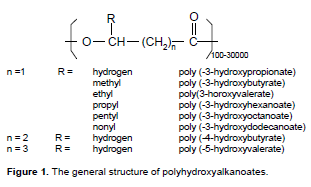 While all condensation polymers, such as polyesters, polyureas, polyamides... have the same issue where their generic name focuses on the functional group that forms between them and not what is actually between the named functional group, this seems to be especially prevalent with polyurethanes, probably because they are so common. I've lost track of all the times clients and colleagues have told me that "they tried polyurethanes and they didn't work". If they had told me they had tried polyethylenes or polypropylene or polystyrenes or polycarbonates and they didn't work, I would be inclined to eliminate them from further consideration because the properties of a single grade of those polymers is not too terribly different from the properties of any other grade. But it is impossible to eliminate polyurethanes from consideration just because a few examples didn't work. As a result of this confusion, I usually have to explain what I explained in the paragraph above in order to get the clients/colleagues approval to still consider polyurethanes for their situation, and that is why I hate them. One last thought: I've mentioned before that when someone tries to play "stump the polymer guy" by asking what a particular piece of plastic is made of, polyurethane is always an excellent answer. It may not be correct, but because of the versatility noted above, it is very likely not a stupid answer. And sometimes, appearing to be "not stupid" is just enough. Depending on your definition of "condensation", you could argue that PU's aren't a condensation polymer since there is no by-product formed. I say "usually", as there are plenty of isocyanate-free urethanes, but most of them have not made too much of an inroad into the marketplace. I suspect price to be a huge factor. This is actually a foamed polyurethane which typically is prepared by adding a small amount of water to the mix. I won't go into the details here.